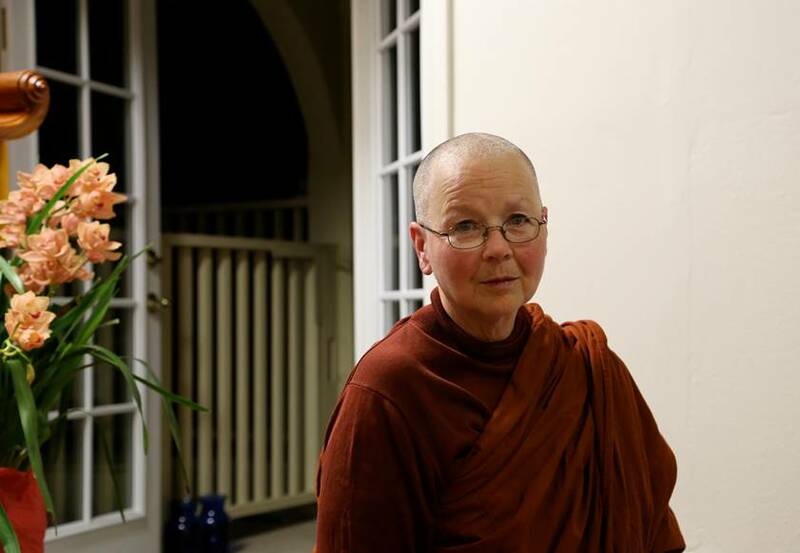 Ayya Sobhana Theri is the Prioress of Aranya Bodhi, a new community for monastic women located on the Sonoma Coast of California. Together with Ayya Tathaaloka Theri, Ayya Sobhana has been deeply involved in the recent restoration of Bhikkhuni full ordination in the Theravada tradition. She meditated and trained with Bhante Henepola Gunaratana since 1989 and stayed at the Bhavana Society in West Virginia from 2003 to 2010. She ordained in 2003 and obtained full Bhikkhuni ordination in 2006.